The first moments of life unfold with incredible precision. Now, using mathematical tools and the help of fruit flies, researchers have uncovered new findings about the mechanisms behind this precision. In a new study published in the journal Cell, the team showed that cells determine exactly where they need to be and therefore what body parts they will become by optimizing the use of all information available from the genetic code. This optimization allows each cell to position itself within one cell's width of where it should be, rather than making errors that later are corrected. The study also demonstrates that a complex biological system can operate according to a mathematically optimal process. The team was able to predict the placement of cells to within 1 percent of their actual locations along the length of the embryo, showing that biological behaviors can be computed and predicted from theoretical principles. "The information required to specify precise cell locations -- and therefore what body parts they will become -- is present and utilized at the earliest stages of development in fruit flies," said the senior author. "This contrasts with the prevailing view that the position of the cells is refined slowly over time." "The theoretical idea is very simple, which is that every cell is using all the information that it can squeeze out of the relevant genes," said another author. "Something we've known for a while, but never stop being amazed by, is that the whole system is incredibly precise, and this fact is what spurred us to believe that the cells are using all the information that they can." Cells take cues from genes, or more specifically, from the protein molecules that those genes produce. But do the cells use all of the information to get everything right the first time? Or is the system messy, with mistakes that are repaired before irreparable harm is done to the embryo? Thanks to previous work, scientists know exactly which genes and molecules are involved in creating stripes across the embryo that mark the segments of the fly larva. If anything goes wrong, the stripes form in the wrong places or not at all. Scientists have long known that the stripes form as a result of a cascade of steps that starts with the fly mother, who tucks into each egg an instruction set built from three different kinds of signaling molecules. These signaling molecules spread through the embryo's body, forming concentration gradients that activate four so-called "gap" genes. The expression of these genes produces protein molecules that act on DNA segments known as enhancers to drive "pair-rule" genes to produce the striped pattern. Detailed measurements of gap gene expression and the exact amounts of molecules produced in the cells along the long body axis were done. With these measurements in hand, the theoretical physics part of the team was able to model how the cells use information to find their place in the embryo. 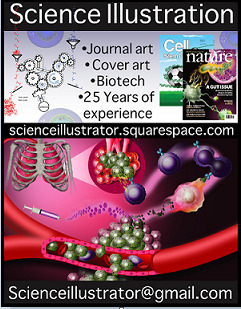 There are many ways that the cells could use the information encoded in the molecules. But the researchers chose to assume that the embryo makes use of all the available information encoded in the molecules. They called this the "optimal decoding approach." With that assumption, they used a relatively straightforward mathematical approach to predict where the stripes would form. The team then compared the predictions to the actual measurements of gap molecules and found they had accurately anticipated the locations of the stripes. The real proof came when the team studied the eggs laid by flies which have mutations in the genes coding for the maternal signaling molecules that are at the start of the cascade. The team precisely predicted how various gene mutations altered the stripe pattern -- for example by making some of the stripes disappear or form in the wrong place. "We used genetic manipulations to shuffle the gap gene patterns and 'trick' the cells into 'thinking' they were somewhere else along the length of the embryo," the author said. "We put these shuffled patterns through our decoder and built decoding maps, which told us where the cells were versus where they thought they were. Using these maps we predicted where the embryos would make stripes. When we looked at these mutant embryos under a microscope we actually found the stripes at the predicted locations! It was very satisfying." The study gets at the question of whether it is possible to make robust predictions about biological systems starting from theoretical principles, according to the authors. "This finding gives us theorists hope that our job in biology will not be forever relegated to fitting models from data, but actually predicting and quantitatively understanding why evolution came up with certain solutions," another author said. "This gives promise, for at least a few example cases, that there may be a 'predictive theory for biology' -- an excellent motivation for future work."